It is very rare to see the physical product in the blockchain industry, right? To be honest, the reason why we have chosen to make a research on Helium ICO Network is exactly the product they offer! Earning token process is very simple, investment is not big, team and advisors are extremely well chosen, hype is fabulous, investors and existing clients are very important (Google, Google Ventures, Microsoft), and the fact that Helium is founded in 2013 and since that time it produces real product for real (big) companies is – in simple words – worth of every our minute invested in Helium ICO research. Imagine to be rewarded for providing internet and power to the network with a single device (with 0% of your time invested), while machines do their jobs, plus, everyone (including you) has equal opportunity to mine, and thus earn tokens from the machine which automatically sends you tokens after it was once connected to your physical device? You think this is not enough exciting? What if we tell you that you can set the cost for the job that your device does, which means that you are in charge of how much these machines will pay you in exchange for connecting to your device?! It is all about decentralization – new blockchain, called the Helium Blockchain that gives you a decentralized machine network and the method to generate tokens. 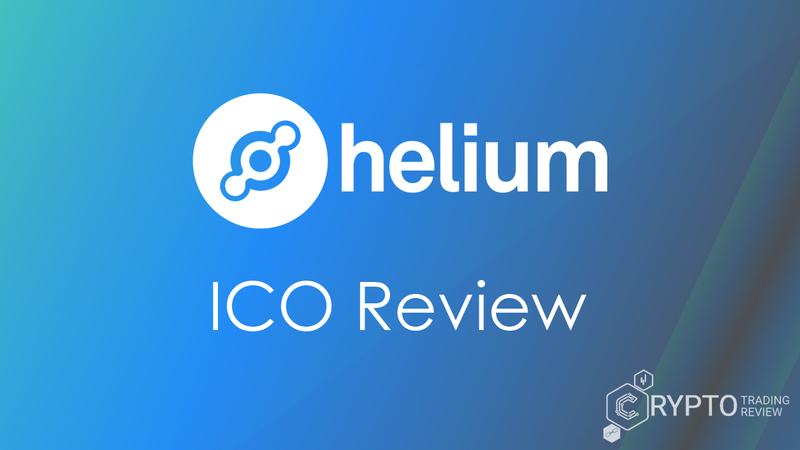 We have made the most interesting and the most objective ICO review, so read at least the most important sections of our review and make sure to read the problem breakdown, user benefits, and how to buy Helium Gateway review sections. Helium ICO is a decentralized machine network with the main purpose of enabling machines worldwide for wireless connection to the Internet and to geolocate themselves without the need for satellite location hardware or cellular plans. Some of the interesting benefits are lower costs of hardware asset and low power hardware system (for example, Helium Gateway device uses as much electricity as an LED light bulb), plus network availability anywhere in the world and Internet provider decentralization. Very interesting information about Helium is that it is founded in 2013 and from the very beginning, it provides secure device connectivity at a much lower cost than the competition. Helium started with the main idea to make it easier to build connected products and since has invested plenty of money in that field. In order to improve blockchain industry needs, Helium started using the blockchain to create a two-sided marketplace made up of a community of coverage providers on one side and users of the network on the other. Of course, that marketplace is called the Helium network (or the Helium Blockchain). The network can reward anyone who deploys gateways and provides wireless network coverage, so users benefit from a secure, reliable, low-cost network they can use to connect physical assets to the internet. Most importantly, Helium is completely new technology, which has developed from main ideas of ‘traditional’ blockchain, and thanks to new Helium protocol, transformed it into purpose-built blockchain that enables distributed applications that operate in the real world. The biggest problem of all is the fact that the Internet today is not decentralized, but the opposite, and that such a situation has many negative effects for (mostly) everyone. Some of the main issues are high costs of using such a network, short coverage, and connectivity centralization. As stated earlier, Helium first started with the idea of building connected products, and today there are some questions if Helium planned to launch Helium ICO from the very beginning. However, we will put that question aside during the fact that we cannot know that answer but only assume it. Well, regardless of that question, during the early years of Helium foundation development, they realized that blockchain has many features, which could help Helium to achieve its business mission. Helium started with blockchain adoption but realized that it is extremely hard and impossible to achieve an idea of Helium Network with regular blockchain technology/protocols. Helium wished to find a solution of producing the real-world applications in current blockchain technology, but they realized that it would not be enough good product because many features could not be implemented in the products. For that reason, Helium saw the opportunity in the new proof mechanism, about which we will discuss more in the further review lines. What is necessary in order to solve these problems is a decentralized network consensus and the consensus system that is useful (and reusable) to the whole network, not just under the blockchain, what implies the change of Nakamoto Consensus-based systems. In order to make a transformation in the use of Internet network together with the blockchain, high-confirmed rate and the censor-resistant transaction is required, or in other words, it is necessary to process a high number of transactions per second and enable all transactions to be included in the blockchain with no censure. As we just saw, the problem is that today’s’ blockchain technology is not adequate for implementing Helium ICO idea of how the blockchain should be used for Internet, GPS and other improvements. Helium realized that they must develop other types of proof mechanism, so they developed the Proof of Coverage (the name of Heliums’ Blockchain proof mechanism). The solution is to build a decentralized machine network on distributed wireless coverage providers – Gateways. Using Proof of Coverage, the Helium Blockchain enable gateways verification and are actually providing real coverage for machines, and allows machines connected to these gateways to geolocate themselves in a physical space without needing typical mechanisms (like already mentioned GPS). In simple words, Helium created new blockchain technology, called, logically, the Helium Blockchain. All these ‘future’ possibilities that we used to watch at futuristic movies and documentaries could be realized with Helium network solution – Helium Blockchain. The way to do so is to enable people to turn Helium ICO solution into their passive income (token sale and/or gateway purchase). However, why are we so optimistic about Helium as a hardware ICO if many other people find it hard to implement? Well, it is much easier than you might think. Let’s for now just remind you that many Internet network users today are still uncertain and insecure about Internet payments, online purchases and actually any other thing that comes with the Internet, even in the situations when it is not necessary (Paypal, Escrow services etc.). If you give them non-contact bank card which is available only at the Internet and with whom they can pay anything in the local grocery store with 50% discount, they would still be sceptic for that payment option, would not deposit their funds at that wallet and make a 50% discount, BUT would rather use their physical bank cards to pay groceries at full price! What is that telling us? Well, many things actually (like traditional Internet payment platform being hacked etc.) but most important, it tells us that it is much easier to offer people the physical component of something that will bring them financial value than to enable them to do anything online from their personal computer or any other device. Finally, as we stated earlier in this review, many say that hardware ICOs are doomed to failure, but there is the opposite side of hardware products, as we just showed you. The blockchain has many features, but the most important is that it is used to incent anyone to help build the network in a decentralized and most secure manner. Now let us see the technical aspect of Helium ICO problem solution (later we will show you how to buy/signup for the gateway, why is Helium secure and other interesting and relevant information). The purpose of Helium is to connect low-power machines to the internet in a new, secure, and most importantly, affordable way. Don’t you think that is the next step that our society need for further development? Is it even possible to imagine the development and practical use of blockchain technology without new, revolutionized Internet network? There are only three words: new blockchain creation. Helium Blockchain enables distributed applications that operate in the real world. Helium Blockchain requires and includes the Proof of Coverage protocol (substitute for the Proof of Work) which is designed and developed specifically for the purpose of new blockchain technology. Proof of Coverage uses a WHIP and the Internet to verify that gateways are providing network coverage for machines, and thus makes Helium platform secure (read more about this at ‘Is Helium safe’ section at the end of this review). If we would want to describe what Helium solution in few words is, it would be a wireless networking system, a blockchain, and a protocol token. WHIP (Helium Wireless Protocol), which is included in Proof of Coverage protocol, provides a data transfer between wireless machines and the Internet via a network of providers. That way machines pay users/network providers for sending and receiving data to the Internet and geolocate themselves; miners earn tokens for providing network coverage, and; miners earn fees from transactions and for validating the integrity of the network. Helium solution is built around the key components as the Proof of Coverage, blockchain network, Helium consensus protocol, wireless protocol, and the Proof of Location. In order to enable the function of Helium solution, machines, miners, and routers are three necessary participants and the Network cannot function without all three parties. Next picture shows you the visual representation of the Helium network system overview. Gateway is in between of the machine and the blockchain, and the gateway physical network devices provide wireless coverage by transmitting data back and forth between routers on the Internet and machines while generating Proof of Coverage for the blockchain network. The single physical device can support a bunch of connected machines, and provide coverage over many square miles. Do not mix the word machine with the physical network device/gateway. Machines are a physical device as well, but their purpose is to communicate with gateways on the wireless network and they exist in the form of battery-powered sensors that can operate for several years using standard batteries. The very important difference is that machines contain radio transceiver and thus communicate with gateways. The purpose of gateways, on the other hand, is to create network coverage while mining tokens at the same time. Finally, routers are applications that purchase encrypted machine data from miners. Considering the fact that this is an ICO review and not the full technical overview of Helium ICO, we will not further go into Helium solution details. Helium is upcoming ICO. For now, token sale goal is not set but at this moment, you visit Helium store where you can buy Helium 2017 (starter kits) prototype products (distributors are Mouser Electronics, Sparkfun Electronics, and Digi-Key) https://www.helium.com/products/helium-starter-kit-eth and (necessarily) sign up for gateway pre-sale updates to be the first to get such information! To be honest, many token sale process information is not yet announced, so for now, we do not know Helium ICO token type, the total supply of tokens etc. We can expect a token sale to start very soon, so make sure you stay current with Helium information updates to make sure you don’t miss Helium investment opportunity (if you have chosen to invest in this ICO). We will update missing information about Helium in time. Helium ICO does not have bonuses. Instead, we will give you some ‘bonus’ information to help you plan your investments: Helium is planning a pre-sale for gateways in Q3 2018, and launch of Helium new gear running on blockchain in Q4 2018. Make sure that you follow their news (you should follow Helium at their Telegram site to see updates on Helium ICO Network, and in order to read more about technical side of Helium ICO follow visit their GitHub and/or Helium whitepaper) and/or our website to ensure you are among the first to get fresh new information summarized from many other web sources at one place. In order to participate, you must have the gateway/hardware component of Helium Platform and connect it to the Internet with the radio module that is compatible with WHIP described earlier. When you, as a Helium network user, use wireless coverage provided by a hardware component then the other machines will send their data through the Network (Internet). You can use the Helium Network to connect your devices. When other hardware devices access to yours and/or when your hardware access to the Internet, you will be paid. In simple words, you will be (token) rewarded any time you use gateway and thus do the mining of new blocks. This process is possible thanks to Proof of Coverage protocol which has a purpose of verification of network coverage (after this protocol does its part of the job you will be rewarded). It is great that anyone can contribute to the development of this Network by participating in gateway use. Observe this as leaving the review after visiting a restaurant or any other public place. The more people leave their reviews and share their customer experience with others, the easier it will be to others to know what is their service alike and whether they should visit that place or not. The point is, the more people do something on the network and the more people participate in anything, it helps the network to fill its purpose. We can put it in another way. Helium ICO is rewarding you for using a network that is much more advanced than Internet network that we use today, at the same time giving you the benefits of the advanced wireless Internet, plus token rewards and cryptocurrency rising with spreading and mass adoption of new blockchain technology. For now, there is no single information about team and advisors, but from the analysis of other ICO elements, we can conclude that this team consists of quality and blockchain experienced people. To be honest, it is hard to conclude anything different from that, because how can you make this kind of solution with no or low experience? 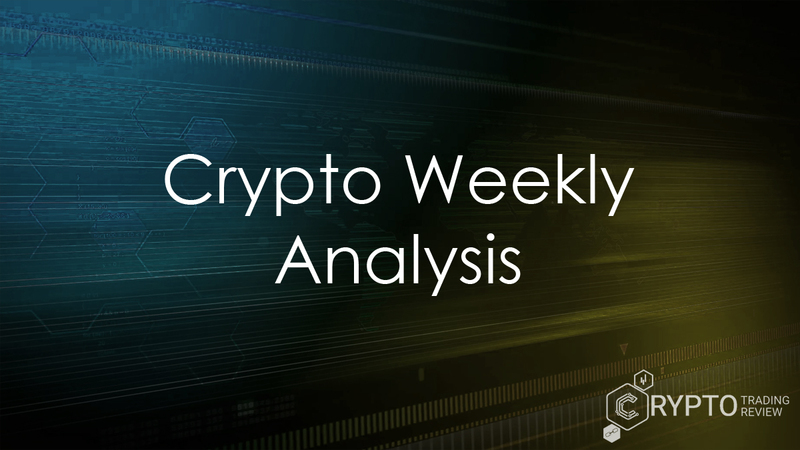 We promise to give you more information about team and advisors as soon as they publish that information, so make sure you check this review at least once a week. Helium ICO is available at many social networks: Telegram (7.660 members), LinkedIn (710 followers), YouTube (208 channel subscribers), Facebook (862 followers), Reddit (92 subscribers), Github (18 followers), Twitter (2,338 followers and 652 tweets), Slack and Medium. As we will see later in the review, there are many important clients of Helium (like Google and Microsoft), and investors, as well, so let’s just say that it is not surprising for Helium ICO to have such a good hype. On the other hand, the quality of the above-described team and advisors are actually very well chosen for this kind of ICO. Helium ICO has announced the future of blockchain and the Helium network to the public in May 2018, and in September, they will launch private testnet in San Francisco. In Q4 they will launch the Helium Network and in Q1 2019 Helium will announce their plans for ICOs global expansion. If the Helium foundation really succeeds in their fundraising goals and if there will be enough interested people to make a purchase of Helium gateway, by the end of Q4 2018 we can expect that the quality and usefulness of Helium network will be proved, and there will still be enough time to make and implement plans about global expansion of Helium network. Well, such a product, service and finally, the benefits of using gateways, it definitely worth waiting. First of all, let’s say something about Helium investors, and then we will turn to partners. Investors are Firstmark, Khosla Ventures, Munich RE, Slow Ventures, SVAGEL, Marc Benioff and some others. Most important is probably the GV (Google Ventures) and VC (Venture Capital), which already invested in Helium ICO Network. When it comes to Helium clients, you can see the list of most important clients in the following picture. GoogleCloud, Microsoft, Sparkfun Electronics, Ecolab, Salesforce, Twilio, and some others are the most important clients and after seeing their interest in this kind of ICO, we are even more certain that this ICO has big chances for success (even though, we actually never had any doubts about that). Gateway price will be $495 and will be available in Q4 2018 (not that long from now). Just as other ICO sale information, gateway sale dates are not yet announced, but it will be necessary to make an online pre-order in order to get the gateway in the future. In order to make sure you will be among first to get information when the gateway pre-sale starts you should register for gateway updates (because the gateway is not yet available for sale). It is important to know that registering/signing up for gateway updates does not place you at the waitlist, but you must make some other steps in order to purchase gateway (this information will be available very soon). When registering for Helium/gateway updates you will be required to choose preferred payment methods. Payment methods are USD, BTC, ETH, BCH, and LTC. 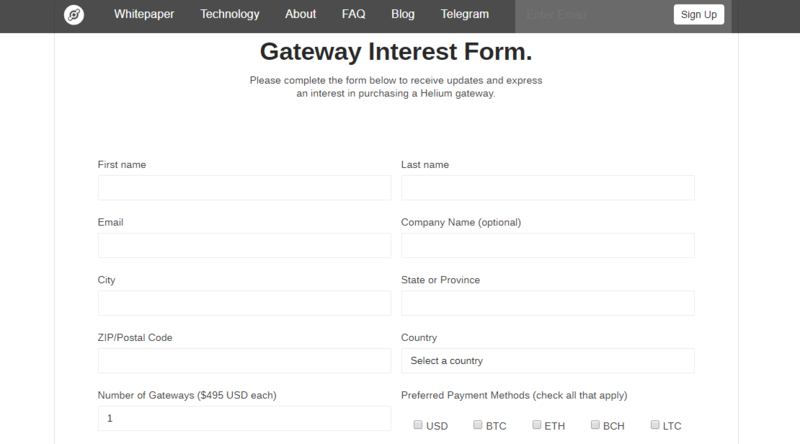 You should be aware that at the process of registration for gateway purchase, Helium ICO will use collected registration information (like preferred payment) to make a decision about which payment methods should be offered for gateway pre-sale, so at this moment you don’t have to decide your payment option (even though it would be wise to pick payment method you prefer at the very beginning/now). They are just collecting some information about customer/user wishes at this point, in order to provide better final service in any aspect of their business process and finally, to maintain Helium ICO goals. Of course, payment options which will have the most demand and interest will be offered as payment options for gateway pre-sale. It is great how Helium plans every step of an ICO project phase/roadmap months in advance and puts a lot of effort into offering the best service possible. Read all about earning tokens by mining new blocks and being paid by machines in the following Helium review lines. Even many say that hardware ICOs has no chance to succeed, we cannot agree with that. Read the whole review to see why that is so! We bet you will change your mind after reading this (bonus information: the way in which Helium Platform ICO designed the hardware component is the easiest and the simplest way to realize this kind of crypto idea. Btw not many ICO offers hardware solution. If they succeed in their intentions, and there is no doubt about it, they will be the first to introduce this kind of technology in blockchain and cryptocurrency and will be the No 1 in new blockchain technology plus hardware platforms, just as Bitcoin is the No 1 with cryptocurrencies today). How to earn Helium tokens? Just as said previously, you can earn Helium tokens by mining new blocks and being paid by machines, but in order to do so you must first buy Gateway and be a Gateway operator. Machines will pay gateways for access to and from the Internet, and the mining process is automatic which leaves your gateway on and providing network coverage gives you a chance to earn tokens. In order to get Helium tokens, you must participate in building the network. By that, we are referring to providing coverage for connected machines. That shouldn’t be so hard or time-consuming, right? Not at all. You will be rewarded by simply deploying gateways, which will earn tokens for you by mining blocks in order to verify provided network coverage, and by receiving fees from machines to send data to a public or private cloud. In other words, you will be rewarded for simply leaving your gateway device ‘on’. That way, Helium gateway will provide network and that particular work/activity of your gateway will be paid with tokens. If you are wondering how will gateway provide network, well, the answer is – via Ethernet, Wi-Fi or cellular and all machines use a WHIP (wireless internet protocol) or in other words, Low Power Wide Area Network. Therefore, the WHIP is what enables the connection of your gateway and machines, and the connection of gateways themselves, which finally, is rewarded with tokens. Let us make it short and simple. You get tokens every time machines connect to your gateway (by the way, you can have more than one gateway), so your part of the job is to get some gateways. That is pretty much all the work you do to earn tokens. It would be definitely more interesting at this point, to know the token sale information but Helium still did not announce this information, so we will all have to wait for that. Until then, let’s see the short review of how to use tokens and if the Helium ICO is safe (and why). Just wait for the conclusion to see final words about Helium solutions. Helium ICO has its own crypto wallet that is used to access information on the blockchain, together with the Helium console, and will be available for most major platforms. These two (wallet and the console) provide displaying gateway location, mining process, monitoring transactions and setting minimum/maximum bids for transmission and geolocation services. You can still use your blockchain but the full network coverage you can have only if you use Helium Blockchain, which you can also use for other applications. What must be mentioned here is the fact that Helium ICO allows other people to build their own gateway, which is a) prove of decentralization, and b) sign that there will be many interested people in this project (in our opinion, it is more than just a project), regardless of the need of purchasing physical product – which is not that common when it comes to blockchain or ICOs in general. Of all the information in the Helium whitepaper, the only thing when it comes to tokens is about token payments. 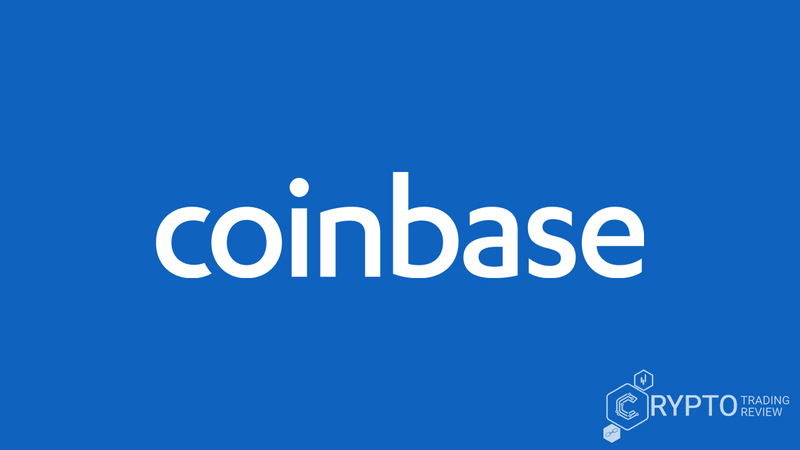 So it says ‘when it comes to token payments, you can move your tokens from one account to the other account (an account of payee), including the requisite fee’. We’ll just wait for Helium to give us some more information about the use of tokens. Token and funding distribution plus the other initial token generation event is not yet announced, as well. As far as we can conclude from the Helium ICOs website and whitepaper, this information will be known/published in the following months. True, it is hard to wait for few months to get some information about the token sale and other, but it’s definitely worth it. Look for the conclusion to see why. For now, we know that in a very short time the token sale will start so make sure you check this review for updates. Without Proof of Coverage verification which is part of Helium blockchain consensus protocol), malicious actors could add false gateways to a network in an attempt to earn token rewards without actually providing coverage. Helium ICO developed Proof of Coverage especially for the Helium Blockchain and thus enhanced the safety of this network. On the other hand, if you are wondering if the Helium ICO is safe in a manner of an ICO fraud, remember that Helium is founded in 2013 and from that time, Helium has many clients who regularly use Helium’s products on daily basis. On the other hand, many very important investors were attracted by the idea and importance of Helium ICO solution. For that reason, you should have no concerns and/or worries about Helium safety in any aspect. What is more, machine data is encrypted end-to-end and is not visible, which makes this network even safer. Helium ICO network is revolutionizing Internet network, GPS mechanism and many other. That is the next obvious step in the world society development with the help of blockchain. As it is shown in the previous text, it is not impossible and complex for an ICO with the physical product to fundraise its goal nor to implement that product at the market. It is just the opposite, every argument of those who are against the hardware ICO can be ‘beaten’ with previous review text lines (not on purpose but with our sincere intention to make the most possible objective ICO review text). Helium network gateway is so much simple for use and brings us all so many advantages, that it is not doubtful whether this ICO project will have the success and value increase or not. It is very simple to earn rewards (you should just provide some coverage / wireless connectivity). Even though we do not have all the information about token distribution, token sale information and other, we can already see that this is definitely the ICO worth of waiting!